All the rain we’ve had over the last few weeks has certainly been worth it. While no one can dispute Charleston’s year-round beauty, the rush of green seems to restore the city to its proper perspective. As a city famous for its fine gardens, springtime certainly agrees with Charleston. Of course, it’s just about the most perfect time of year to visit one of the gorgeous plantation gardens down the road, but don’t forget to smell the roses downtown, too. The Mazyck-Wraggborough neighborhood above Calhoun Street is widely recognized as Charleston’s ‘Garden District’, thanks to longtime Neighborhood Association president Vangie Rainsford. With more public green space than any other neighborhood in downtown Charleston, these neighborhoods were some of Charleston’s first suburbs. Once known as Mazyck’s Pasture, Mazyckborough was laid out for Alexander Mazyck by the surveyor Joseph Purcell in 1786; it is bounded by Chapel, Elizabeth, and Calhoun Streets and the Cooper River. 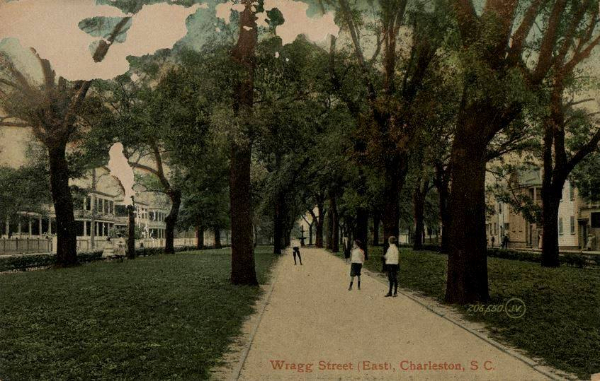 Wraggborough was laid out by the same surveyor several years later and included Wragg Square and Wragg Mall, parks that the Wragg family gifted to the city. Bounded by Mary, Washington, Calhoun, and King Streets, Wraggborough streets are named for various family members: John, Henrietta, Ann, Elizabeth, Mary, and Judith. The adjacent neighborhoods merged in the late 20th century. According to Charleston in the Age of the Pinckneys, by George C. Rogers, Jr., many of the homes were built by wealthy planters for use as summer homes, while the local merchants lived in the old walled town of area near the docks. The streets were unusually wide and the lots were planned for country living. These antebellum houses were generally more spacious with copious piazzas, something of a cross between a town house and a country house. Joseph Manigault, a Wragg grandson and wealthy rice planter, had his brother build him a grand home with extensive gardens at 350 Meeting Street in 1803. The Manigault family lived there for over fifty years but in 1920 it was facing destruction. Susan Pringle Frost formed the Society for the Preservation of Old Dwellings (now the Preservation Society of Charleston) to purchase the property to save it from destruction. 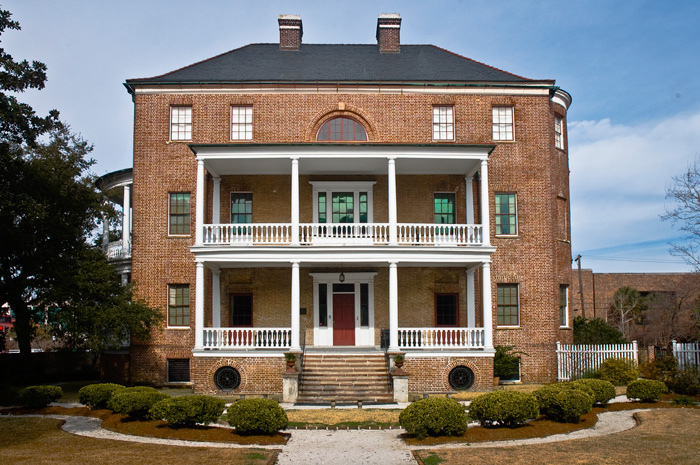 According to the Joseph Manigault House, to pay off the mortgage, the rooms were rented out to single families and there were upwards of ten families living in the house at times. 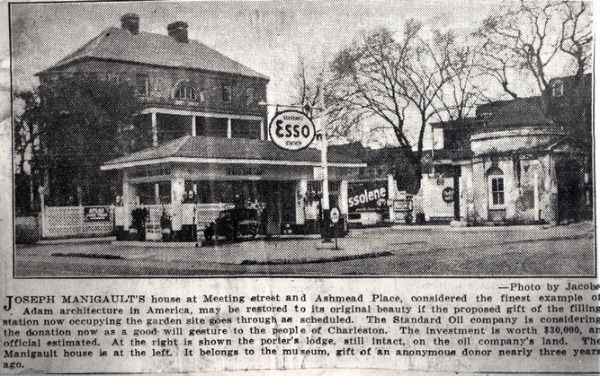 The garden property was sold to Standard Oil Company in 1922 and an ESSO gas station was placed on the southeast corner. In 1933, the mortgage on the house was foreclosed because of failure to keep up with payments, and it was purchased by the Charleston Museum. 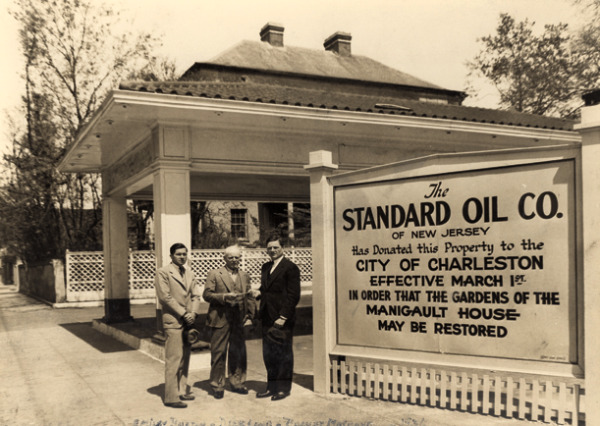 In 1937, the Museum convinced Standard Oil to tear down the gas station and donate the land back to the house. Thank goodness! Both of the original Wragg parks mentioned above are still in use as public spaces. Wragg Mall, at the corner of Meeting and Ann Streets (pictured at top), provides shade and blooms year-round; Wragg Square is the large park at Meeting and Charlotte Streets where artist and cultural events are frequently seen. Across the street is the immensely popular Marion Square, which hosts the local Farmer’s Market, a summer film series, and numerous annual festivals and community benefits. 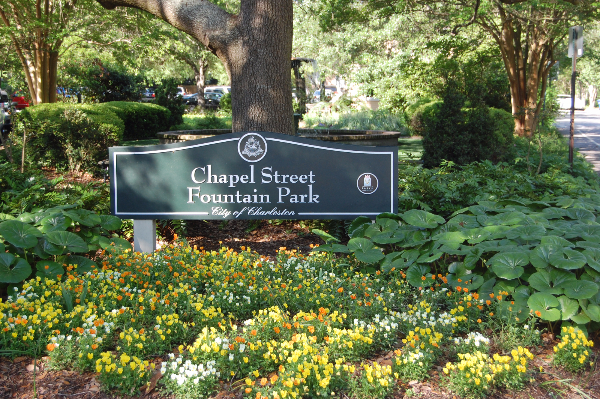 The Garden District also offers a traditional playground at Tiedemann Park as well as one of our favorite hidden gems, the Chapel Street Fountain Park. This shady oasis at the intersection of Chapel and Elizabeth Streets was originally slated as a site for a small chapel, but nowadays it’s centerpiece is a beautiful iron fountain. Looking for a quiet slice of heaven in the middle of the city? Grab your lunch and a book, because you’ve found it. Just down the street from this special little park is one of the most unique properties in Charleston, 9 Elizabeth Street, and Drew recently listed it for sale. Seems like everything about this home is both rooted and progressive. For instance, the owner has interests in numerous establishments that contribute to Charleston’s hip vibe--Poe’s Tavern, Closed for Business, Leon’s Oyster Shop and St. Alban’s (to name a few) as does the architect--Hall’s Chophouse, Fish, Fleet Landing, McCrady’s (again, to name a few). The architect designed the unusual stairwell to be positioned at the front of the house to allow for an open floor plan and porches with privacy, and a master boatbuilder created the spiral staircase using solid oak. 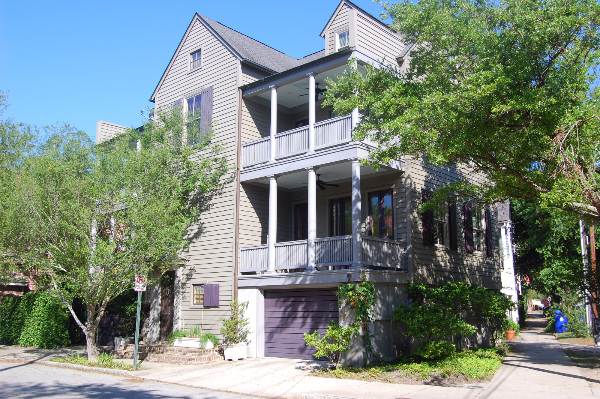 It’s an interesting space that’s able to balance modern conveniences with Charleston charm in the most desirable setting. You’ve really just got to see it! Give Drew Denton a call at 843-813-9334 or shoot her an email (drew@loislaneproperties.com) to set up a showing.